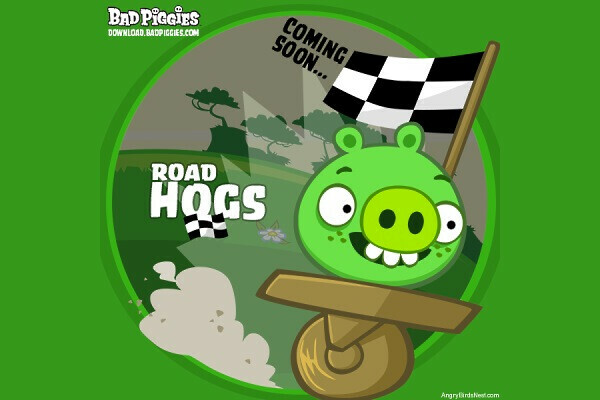 Rovio has sent out a tweet on Tuesday morning to promote an update for its Bad Piggies game called Road Hogs. Judging from the name and the image of a teaser that was included in the tweet, this appears to be a racing based game. It is a smart move from Rovio to start presenting the pigs as individual characters that can be marketed, much as the Angry Birds have been. The Birds can be spotted all over the place from clothing to lunch boxes to just about anything you could imagine, and making the pigs seem more goofy and less like villains should help position them in the same space as the Angry Birds. Bottom line, it means more moola for the developer. 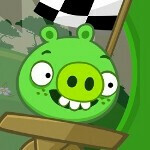 Bad Piggies was launched last September and quickly shot up to the top of the charts. The game requires you to transport the pigs to a specific target using strange vehicles that you create. Rovio didn't reveal a date when the update will be available, but did say it was coming soon. If you have never played Bad Piggies, check out the video below! Personally, I feel Bad Piggies has been Rovio's best work. It's tremendously more fun and involved than Angry Birds. That isn't to say that Angry Birds lacks interest-it's certainly fun-but Bad Piggies is more creative and overall has better replay value, I think. I hope they do lots of work expanding on the pIggies side of their games.